Total Management is delighted to announce its partnership with Ford on their new upscale Ford Vignale product and ownership experience. Ford announced at Geneva Motor Show its expansion in the Ford Vignale upscale product and ownership experience designed to support the company’s most discerning customers in getting the most from their time at the wheel and beyond, with no fewer than four new vehicles and an exciting new personalised customer service. 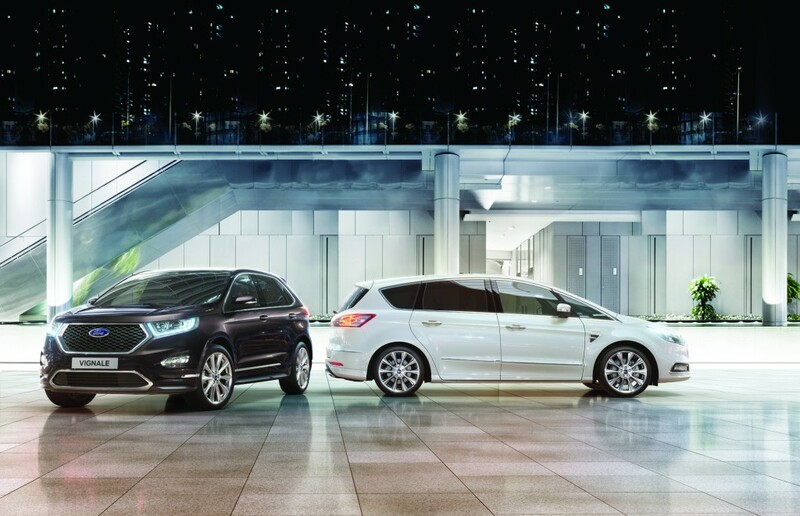 Ford Motor Company have partnered with Total Management to produce Ford Vignale Owners Club where customers benefit from packages that includes bespoke travel, lifestyle and event offers throughout Europe. Ford Vignale customers demand quality experiences and consider time the ultimate luxury. Ford will offer a bespoke service to help customers across Europe efficiently arrange exclusive travel and lifestyle experiences powered by Total Management. The service will offer a carefully selected collection of experiences, from tailor-made vacations to romantic spa weekends and luxury trips. Ford Vignale is the highest expression of the Ford brand in Europe bringing together a unique ownership experience and award-winning design inspired by global fashion and furniture trends. Total Management will work with your internal brief to devise creative event concepts to work with your requirements via a dedicated team wherever in the Globe the event may be. Total Management will work to provide seamless travel solutions for your group ensuring each guest has a simple process to follow to confirm their travel plans surrounding each event. Through Total Management’s experienced team and network of contacts we are able to offer negotiated rates and additional benefits at a host of hotels. With experience in negotiating block room holds and rates we will be able to offer vast savings and amenities as well as booking logistics for your group. • Ability to obtain additional amenities i.e. upgrades, welcome hampers, breakfast, food and beverage credit. Via our extensive network of airline partners and consolidators we are able offer the below benefits for international flights for all delegates attending. Total Management will provide a team to arrange seamless transfers on the ground in the location chosen by the client, from bus options for groups to private luxury cars for executive travel. The design service is part of the overall offering however fees are charged at an additional £65+VAT/$95 per hour for the use of this team. An approximate quote would always be provided before we commence with any design work. Total Management will arrange site visits relevant to locations chosen with full itineraries arranged to cover all venue and hotel options. On site hours, flights and expenses for Total Management will be charged accordingly. As part of the event management service, we will provide the required team members to be onsite to oversee and manage all event logistics. On site fees will apply based on location and length of time staff time required. Total Management can be brought on to suggest and manage logistics of Spotify’s activities reflective of location chosen. Total Management will provide a team to arrange seamless transfers on the ground in the location chosen by Spotify, from bus options for groups to private luxury cars for executive travel. Total Management would dedicate a specific Project Manager who would liaise with the relevant Spotify team members. As part of the event management service, we can provide team members to be onsite to oversee and manage all event logistics. On site fees will apply based on location and length of time staff time required. Approximate quotes will always be given before committing to Onsite Management and built into budgets appropriately. Total Management will provide a dedicated team to assist with all requirements associated with Hack Week and the weeks agenda. • Recommending and liaising with offices or local catering companies to ensure seamless on-site delivery. Total Management Studio will assist with concepts, design and logistics for the creative and SWAG elements. The design service is part of the overall offering however fees are charged at an additional £65+VAT per hour for the use of this team. An approximate quote would always be provided before we commence with any design work. Total Management will arrange site visits relevant to locations chosen with full itineraries arranged to cover venue and hotel options. On site hours, flights and expenses for Total Management will be charged accordingly. Total Management would dedicate a Project management team who would liaise with the relevant Spotify team members. Total Management will work with your internal brief to devise creative event concepts to work with your requirements via a dedicated team. As part of the event management service, we will provide the required team members to be onsite to oversee and manage all event logistics. On site fees will apply based on location and length of time staff time required. 5 hours of onsite staff fees are included within the overall fee. The staff hours must run concurrently. Total Management will provide entertainment solutions from live music to performers. Total Management will work to provide seamless travel solutions for your group ensuring each guest has a simple process to follow to confirm their travel plans surrounding the event. Via our extensive network of airline partners and consolidators we are able offer the below benefits for international flights for all guests attending. We can create a custom built booking platform to be shared with your guests for the most streamlined of processes. Total Management will provide a team to arrange seamless transfers on the ground in the location chosen from bus options for groups to private luxury cars for executive travel. As part of the event management service, we will provide the required team members to be onsite to oversee and manage all event logistics (should this be necessary). On site fees will apply based on location and length of time staff time required. Total Management would dedicate a specific Project Manager who would liaise with the client or third party agency. Total Management would dedicate a specific Project Manager who would liaise with the relevant team members. Total Management would dedicate a specific Project Manager who would liaise with the relevant client team members. Through Total Management’s experienced team and network of contacts we are able to offer negotiated rates and additional benefits at a host of hotels. As part of the event management service, we will provide the required team members to be onsite to oversee and manage all event logistics. We will utilize our extensive network of venue and hotel contacts to offer options that fit in line with your exact needs. Total Management will provide a list of evening engagement and social activities during the day to offer an exclusive experience for your guests. Please fill in the booking form or feel free to contact us.